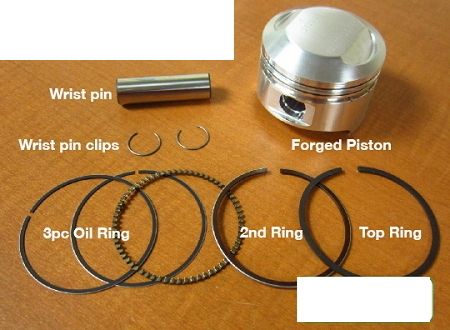 Qty:Piston kits are sold individually, two kits will be needed per bike. Why You Need This Part: After many years and hard miles of service, an engine rebuild on your Honda CL350 Scrambler / SL350 / CB350 is inevitable. As with any engine overhaul the cylinders on your Honda CL / SL / CB350 should be measured to see if they are within the service limits of a hone and re-ring. If they are out of limits then the cylinders on your trusty twin will need to be bored over sized. An over bored cylinder must have a set of matching oversized pistons and rings, however original Honda oversized pistons and matching rings are an obsolete for the CL350 / SL350 / CB350. 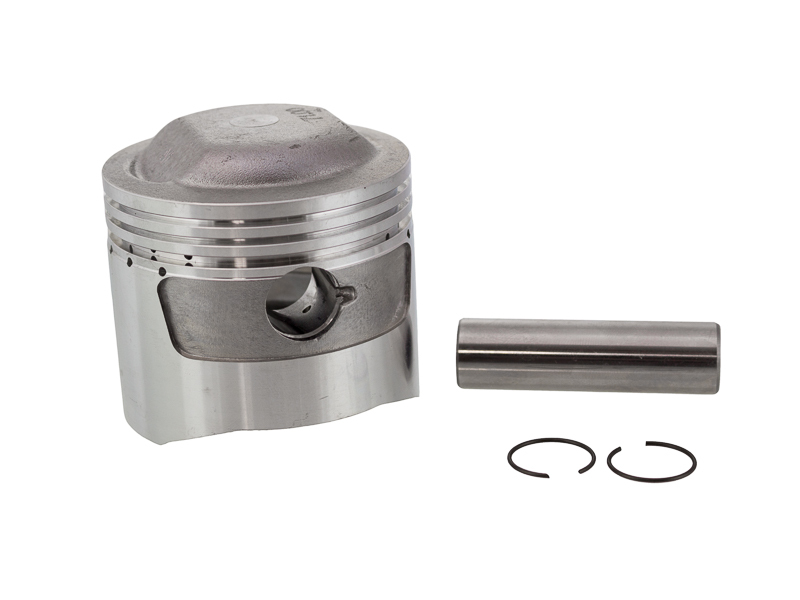 Fret not as we have sourced a top quality oversized forged piston for your engine that are stronger than the original cast parts. 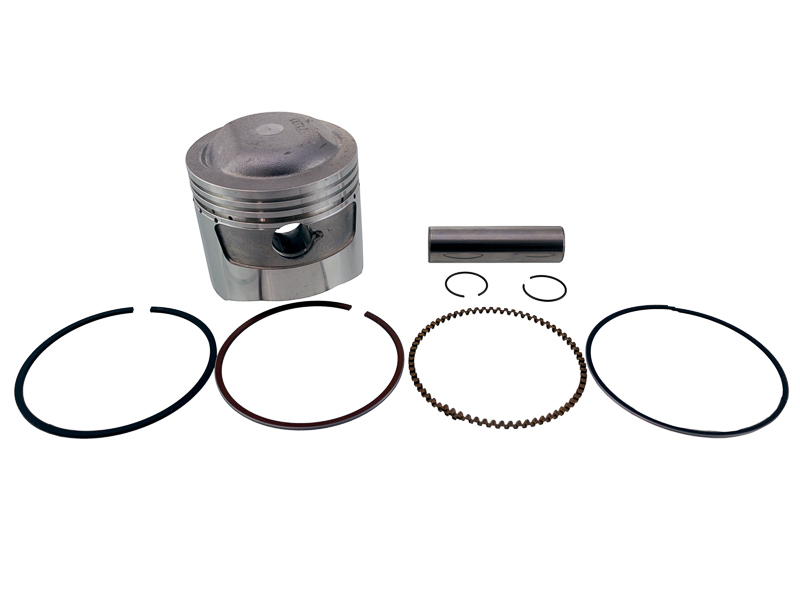 Each forged piston is sold as a kit that includes a matching oversized set of piston rings, new wrist pin and wrist pin retaining clips. These high performance forged pistons are an amazing piece of machine work made right here in the USA and would be the choice for a heavily modified engine or a racing engine build. Oversized options are 1.0mm, 1.5mm and 2.0mm. Each piston kit is sold individually, two kits will be required per engine. Complete the rebuild properly with an overhaul gasket kit, cam chain , oil seals and a new cam chain tensioner kit. Installation Tip: Cylinders must be bored oversized by an engine machine shop, and it is best to have the new pistons available to the machinist when dropping the cylinders off for work. Wash newly machined cylinders with hot water and dish detergent. Wipe cylinders clean with a white cloth, when the cloth shows no dark residue then cylinders is ready for reassembly. Install pistons with arrow facing toward the front of the engine. Make sure to lubricate the pistons and cylinders with motor oil before installation.